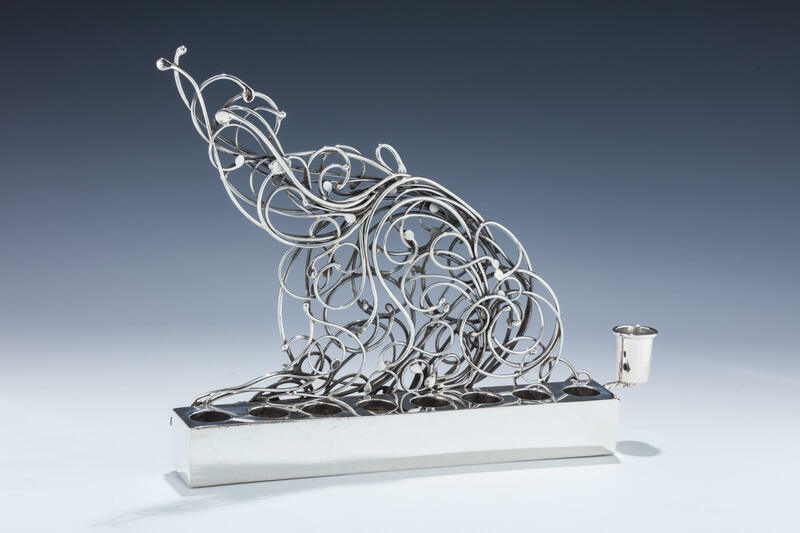 A STERLING SILVER HANUKAH LAMP BY ELI GERA. Israel, c.1990. Hand crafted with the back plate in the shape of an elephant made from molded silver wire work. 9.2” tall.